Click on Link to Download. For full Audio Library of Past Messages, Click Here. This summer I’ve been finally getting to a few books I’ve been wanting to read … one is Up Ghost River: A Chief’s Journey Through the Turbulent Waters of Native History by Edmund Metatawabin. This book is not light summer reading but for me as a Canadian it’s necessary reading given the six year Truth and Reconciliation Commission that my country has been processing through. Up Ghost River is Chief Metatawabin’s painful story of his youth in a residential school and his life’s journey as a result of what he experienced there. For over a hundred years in Canada (starting from the 1870s) there were 130 residential schools where over 150,000 First Nations children were taken away from their families to attend. These schools were funded by government and run by churches. Edmund entered one of these schools, a particularly remote one in Northern Ontario, St. Anne’s, in 1956 at the tender age of 7. While in the care of government funded schools, these children and adolescents endured physical, mental and sexual abuse. Edmund writes poignantly of the harsh and demeaning discipline he personally endured including having to eat his own vomit and being strapped twice into a homemade electric chair, and suffering at the hands of a sexual predator. And of the decades long struggle with Post Traumatic Stress Disorder (PTSD) and his determination to seek justice and bring stability to himself, his family and his local and greater community. 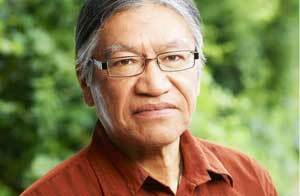 Canada’s Truth and Reconciliation Commission collected 6,740 statements from witnesses (including Edmund’s) and recorded 1,355 hours of testimony. It all culminated in 94 recommendations presented in Ottawa (our capital) this June amidst four days of events and ceremonies attended by thousands. The survivors of St. Anne’s were successful in a court case against the institution and brought some convictions against some of the staff and other authorities. However they continue to encounter government and police resistance in accessing important documents needed to bring further accountability. While I don’t personally know Mr. Metatawabin his story lands deeply for me for a few reasons. First, I’ve had the honor of serving First Nation clients in my facilitation and coaching practice and have taught visual skills to FN consultants for use in their own practices. 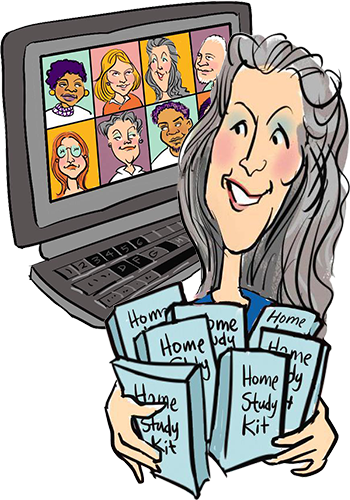 I am indebted to the stories I have heard (and drawn) in educating me and broadening my sensitivities. Secondly, while my ancestors were not First Nation, some did receive their education via Catholic institutions of the same era, where the conditioning was strict, often punishing and had long lasting effects upon self-esteem and empowerment. I learned more about my own family, and by extension myself, by reading this book and for that I’m appreciative. Back in 2010 there were two interviews in my Soothing Saturday program which are still very relevant today. Click here to access “Crab in the Bucket Syndrome (Denise Findlay and Tereasa Golka) and “Developing Resilience and Overcoming Cultural Trauma” (Monique Gray-Smith, author of Tilly: A Story of Hope and Resilience). 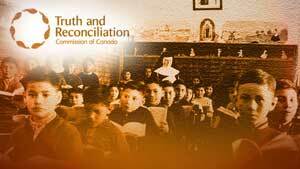 For further information about Canada’s Truth and Reconciliation Commission (TRC) click here. 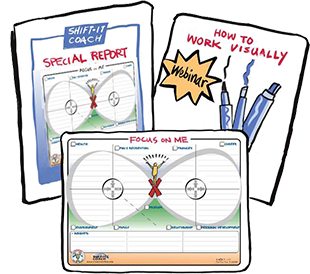 The SHIFT-IT Visual Coaching System is an empowerment system to resolve one’s past and present and design a more satisfying future. See Certified Visual Coach Ainjil Hunt for specialized FN support.